Christmas pranks have a way of making the season memorable. From the stocking stuffed with lumps of coal to Christmas trees hung upside-down, the season is full of opportunities for the merry and young at heart. 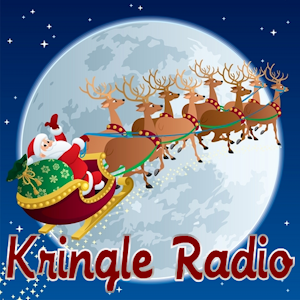 In this merry episode we scratch the surface of some of the great pranks in Christmas history — some dating back as much as four hundred years. Pranks can be simple — or they can be elaborate. Do you remember the Legend of the Christmas Pants? Back in 1964, Larry Kunkel’s mother thought he’d appreciate a nice new pair of moleskin pants. Living in Minnesota, the pants were prone to stiffness in the freezing weather of the winter months. So Larry pawned the pants off on his brother-in-law, Roy Collett, as a gift the very next Christmas. But Roy didn’t care for them either. So he returned the favor and the pants the following Christmas. For years the brothers exchanged the unwanted pants — but did so in cleverly packaged ways. One year the pants came wrapped in a three foot galvanized pipe. Another year it was put into the glove box of a 1974 Gremlin…which was then crushed into a three foot cube. Thus goes the tale of one of many classic Christmas pranks. Pranks can be elaborately planned affairs or spontaneous whims of inspiration. Often, it is an idea taken to an extreme for laughs all around. 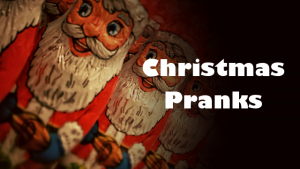 Pranking is an old, long standing tradition of Christmas and this episode merely introduces the idea. Look for this topic in depth as part of a new episode of the Merry Podcast over at the Merry Forums.